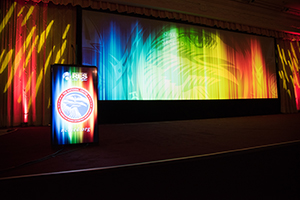 RES is another multifaceted event from National Center for American Indian Enterprise Development (NCAIED) which will feature unparalleled access to respected tribal leaders, members of Congress, federal agency representatives, state and local elected officials and top CEO’s, on a national platform. Attendees will benefit from high caliber networking, teaming opportunities, business development sessions, American Indian Artisan Market, and much more. It’s just one more example of how The National Center is building bridges of opportunity for today’s American Indian Enterprises. Availability of rooms is limited. Register early! Click the button below to register for golf, hotel and event access! The National Center for American Indian Enterprise Development (NCAIED) is a 501(c)(3) non-profit organization. With over 40 years of assisting American Indian Tribes and their enterprises with business and economic development – we have evolved into the largest national Indian specific business organization in the nation. Our motto is: “We Mean Business For Indian Country” as we are actively engaged in helping Tribal Nations and Native business people realize their business goals and are dedicated to putting the whole of Indian Country to work to better the lives of American Indian people- both now… and for generations to come. Learn more.